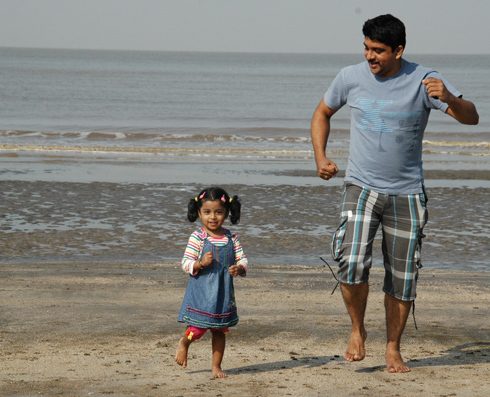 We had been to Daman and Silvassa for the new year weekend. 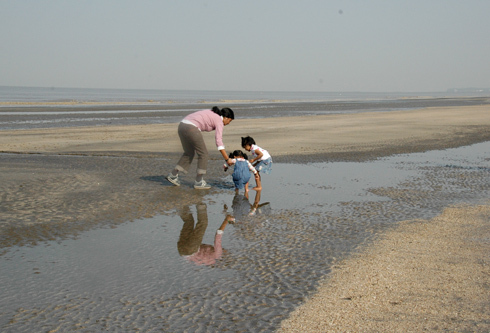 We stayed at Daman and the Jampore beach was a short drive from the hotel. I have never seen such significant low/high tides and the difference between the two here was more than a kilometre! 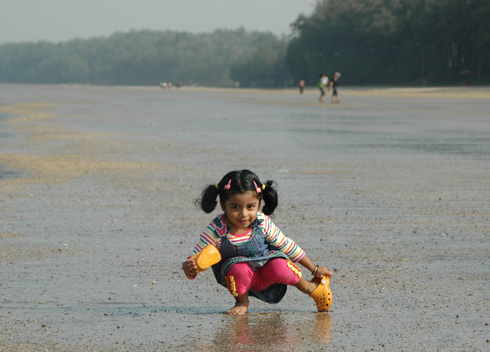 So, that meant that there was lot of soft wet sand on the beach for quite a distance which added to the fun. 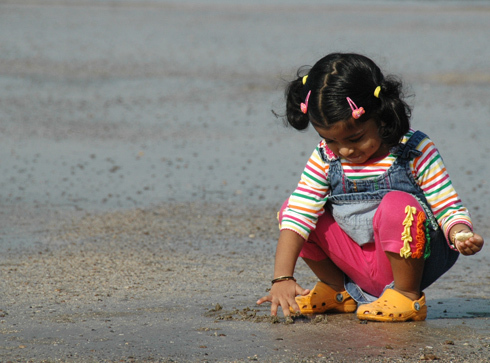 It didn’t take long for Akshara to realise that wet soft sand was actually a cool thing to play with. So, within minutes she started to do what kids love to do, get messy! Seeing others around, i guess that she started feeling stupid being the only one with slippers on. Off went the crocs. 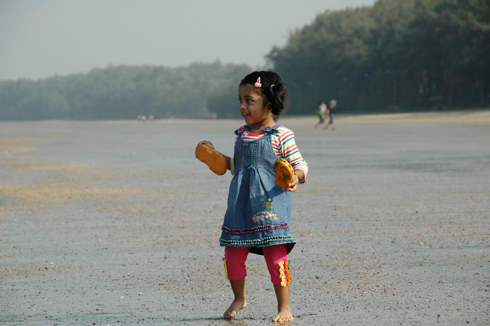 Somehow, this delicate balancing act of getting her crocs off without tipping over made her feel very proud. 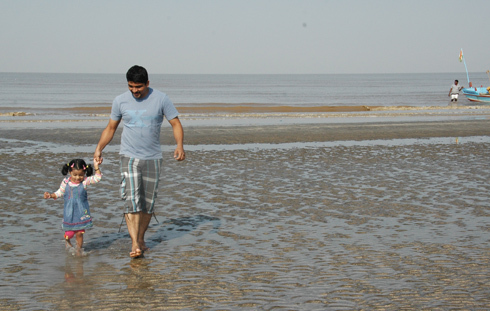 With Shriya for company, she began exploring the vastness of the shore. They were very curious about the reflection which made Akshara say “touch Akshara” (the reflection! 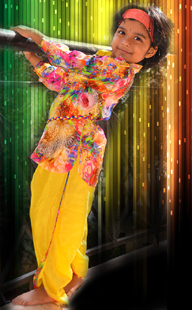 ), which made Vidhya say “Oh! No”. We walked all the way to meet the waves. 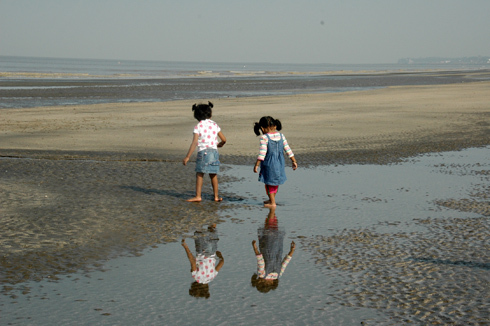 It was difficult to make Shriya and Akshara come back as they enjoyed the small waves hitting their even smaller feet. 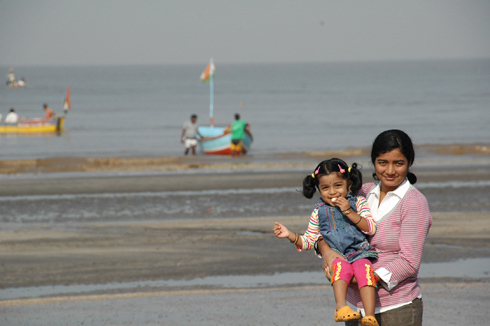 But, as always, the pretext of a photo session and some running around on the sand did get Akshara back. 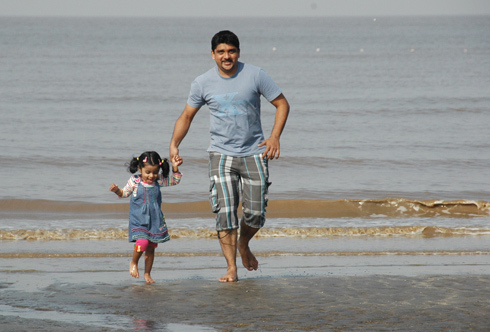 All that running around on the sand did make Akshara tired. 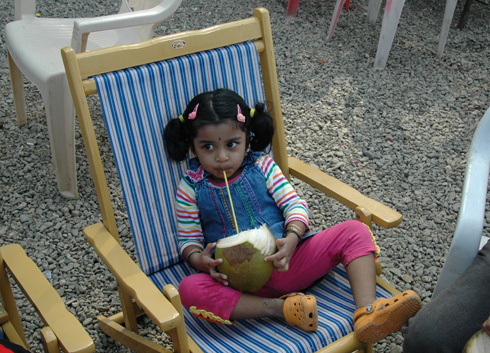 So tired that she wasn’t willing share a coconut and wanted one of her own. I saw this just, did you not post this on FB? Super cute snaps da.